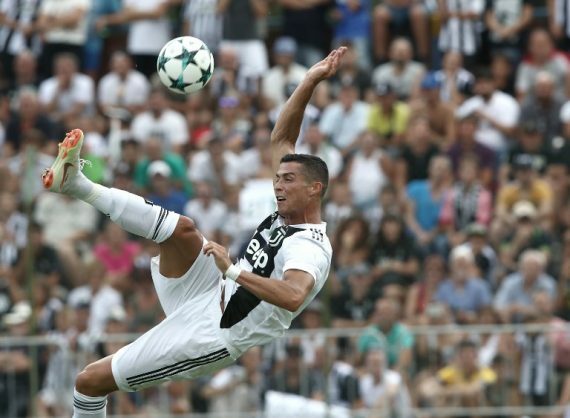 Serie A returns after a two-week international break with former Real Madrid player Ronaldo having skipped Portugal duty to focus on his new club, just as his teammate, Croatia’s World Cup runner-up Mario Mandzukic, did. “Vitamin D,” wrote the five-time Ballon d’Or winner under a photo of him lounging on the deck of his yacht. “It takes time. We’ll all be fresher after the break and that’s when the real season starts,” said Allegri. Germany midfielder Sami Khedira pointed out in an interview after his contract at Juventus was extended this week that the Portuguese star was brought in not to rack up goals but to make the difference in the Champions League and turn “dreams into reality”. Argentine Paolo Dybala — Juventus’s top Serie A scorer last season — and Brazilian Douglas Costa look set to start on the bench. Despite being overshadowed by the arrival of Ronaldo, Dybala insists he feels fortunate to play in the same team as the five-time Ballon d’Or winner. “I told myself after I was lucky to play with Lionel Messi in the national team, I have now had the opportunity to play alongside Ronaldo,” said Dybala. Luciano Spalletti’s Inter — with last year’s star forward Mauro Icardi fighting to shake off a muscular injury — are coming off a 3-0 win over Bologna after taking just a point from their first two games. Carlo Ancelotti will look to put his first defeat as Napoli coach behind him when last season’s runners-up host Fiorentina before playing Red Star in Belgrade on Tuesday.